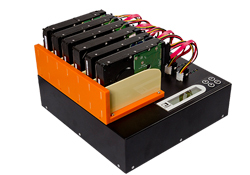 MT series, a professional SATA HDD duplicator is specially designed for high-volume duplication. 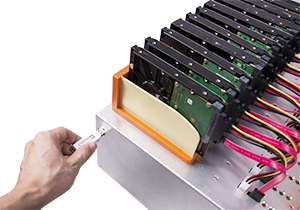 U-Reach adopted a unique multi-tasking technology, it can simultaneously copy 5 HDD targets and with high transfer speed up to 7.2GB per minutes based on real test. We guarantee highest productivity without speed degradation even when the number of targets increases. 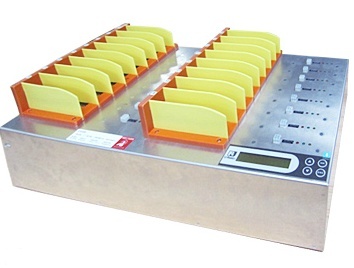 The MT series SATA HDD duplicator provides four copy modes: quick smart copy, all partitions copy, percentage copy and whole HDD copy, can meet different duplication task requirements. The quick copy mode copies data and skips blank area. NTFS, Linux (Ext2/Ext3/Ext4), FAT/FAT32, Mac (HFS, HFSX, HFS+) format all can be supported with quick copy mode. It will highly increase the copy efficiency. In addition, the MT series SATA HDD duplicator is equipped with different levels of secure erase function, Quick Erase, Full Erase, DoD 5220 Erase government standards and last but not least is Secure Erase which can fulfill different levels of security for HDD wiping. ⊙ High performance up to 7.2GB transfer speed per minutes. ⊙ Windows(FAT16/32/64, NTFS), Linux(ext2/ext3/ext4), Mac(HFS, HFS+, HFSX.) supports systems & files copy. ⊙ Data Sanitization : quick erase, DoD erase, and secure Eerase. 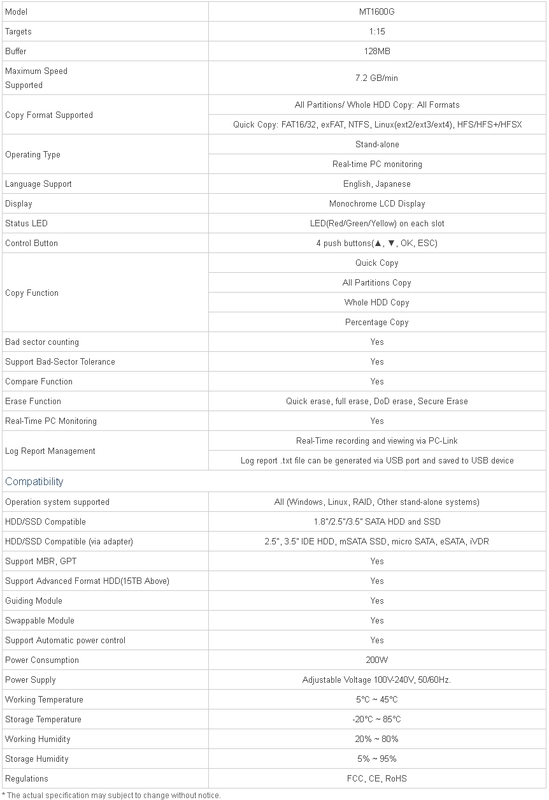 ⊙ Open-platform Design supports multi-interface HDD/SSD. ⊙ Log report management records all tasks details for better production management. With up to 7.2GB/m transferring bandwidth, MT series SATA HDD duplicator is the great for manufacturers. Each SATA interface is independent, no matter how many hard drive targets you would like to duplicate, speed performance remains the same and does not degrade. The 7.2GB per minute is far beyond PC-based duplicators. Whole HDD Copy supports all kinds of partition formats. This mode can identify the HDD formats of Windows (FAT16/32/64, NTFS), Linux(ext2/ext3/ext4), Mac(HFS, HFS+, HFSX. It will only copy the data and system contained area, which enhances the copying efficiency very much. DoD Erase Complies with the U.S. Department of Defense's standard of erasing. Secure Erase A National Institute of Standards and Technology 800-88 accept technique for properly purging hard drives. This method is supported by almost all modern SATA HDD. 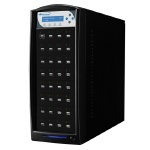 - Support Advanced format HDD, Up to 15TB device. - Supported OS: Linux, Unix, Windows, Macintosh, etc. It is absolutely perfect for MONITORING the work progress during operation. It shows all the information for EVERY PORT, which is a powerful tool for sorting out the lagging writing HDD and keeping the operation in most efficient. All the information you need will be shown on screen of PC. 1. 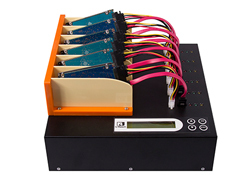 It's able to monitor HDD MT Series HDD Duplicator withduplication status from PC while duplicators are connected to it. 2. 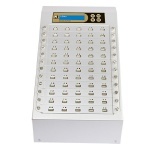 Shows and records the brand name, model, S/N, duplication time, result of every HDD from all the ports, the info of both sources HDD and target HDD are recorded. 3. Slow R/W speed HDD detection: lagging HDD can be easily sorted, because user can see the duplication speed of every port by "Event Log". 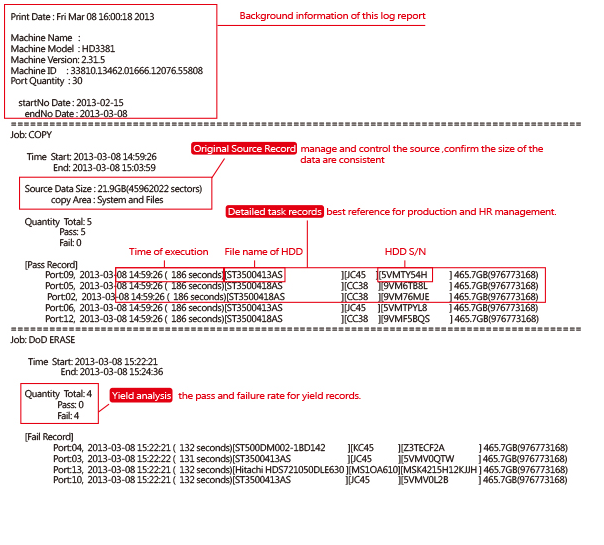 Records operation time, each port's process details, including HDD's model, capacity, S/N, result (pass, fail). When the HDD duplicator stop executing any function, the machine will automatically cut off the power of each port to protect the HDD from damage during removal from the HDD duplicator. 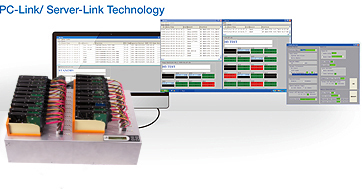 The power of each port will only be supplied when the operation is on.